Meet the Teams of The Amazing Race Philippines Season 2! 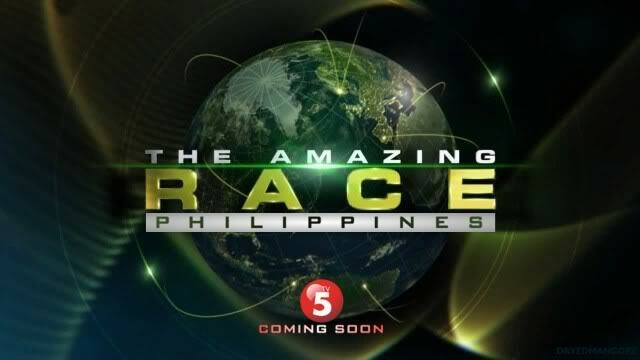 Only a few days to go until the 2nd season of The Amazing Race Philippines premieres on TV5. On Monday, October 6 at 7pm, 11 brand new teams will set off on the biggest adventure on Philippine TV. After a solid first season cast, if the previews are anything to go by, this new set of Racers look ready to be even more competitive, more fun and especially more dramatic. activeTV revealed a lot more details about season 2 of The Amazing Race Philippines in a press release today. Confirming a grand prize of P2 million from PLDT Home Telpad, 2 house and lots from RCD Royal Homes and 2 brand new Kia Sportage cars, the press release also confirmed the new season would air for 10 weeks on TV5. activeTV touted overseeing the entire production of the series; from casting to scouting locations to final production. Director and activeTV president Michael McKay who earlier tweeted: “The Amazing Race Philippines season 2 is going to a seriously good one,” talked about the challenges of doing a nightly version of the Race instead of the usual weekly one-hour episodes. McKay says TAR creator Bertram van Munster, ABC Disney and activeTV worked together to develop a format that would suit the nightly format unique to The Amazing Race Philippines. Included in that development was dropping the Fast Forward and making sure to maintain TAR’s signature pace while keeping action condensed in half-hour installments. McKay also raved about the beauty of the Philippines while TV5 Vice President and Production Unit Head Margie C. Natividad complimented the foreign crew members who also fell in love with the Philippines and helped create what she hopes is another award worthy piece of work. The Amazing Race Philippines won a Golden Screen Award for its first season. Bertram Van Munster Teases Everything Philippines-Related Amazing Race + Asia's Still On! Amazing Race co-creator and executive producer Bertram Van Munster visited the Philippines a few weeks ago and were welcomed by TV5 executives. They talked about his success with creating and producing TAR and likely talked about TV5’s own Amazing Race Philippines. But many fans also speculate that Bertram was in the Philippines to possibly scout locations for Fall’s Season 25. And more good news? While the lack of “Biyaheng Asya” in the latest TARPh promos has worried some, fear not! TV5’s Amazing Race Philippines page just went live online this week and it says: Muling magbabalik ang pinakamalaking karera sa buong bansa at Asya! or The biggest Race around the country and ASIA is returning!. So there is still hope for a couple of Asian Legs on TARPh2. Will The Amazing Race Philippines 2 Travel Outside of the Country? Apparently, YES! After much teasing, we finally get our first confirmation as TV5 unveiled their new shows for 2014 including a new season of The Amazing Race Philippines. In this NEWS5 report at around 1:33, the reporter mentions The Amazing Race will have a theme of “traveling Asia” and that it may air only on the weekends. Anyway, should be very exciting to see another Filipino Race, especially with the prospect of traveling out of the country.